Joining the team in January 2016, Scott Fields was appointed the associate head coach of the men’s basketball program in May. Fields resides in Riverton, Utah, with his wife Kim, daughter Whittney and son Brandon. You will not find a man with more enthusiasm for the game of basketball. He’ll be the first to tell you that he’s the most blessed man on this Earth and that he’s just happy to be here. Coach Fields is known as a player’s coach and the love that he shows for every player is inevitable. Fields was born and raised in Kokoma, Ind. He attended Lewis Cass High School where he made a name for himself and had a successful career and was named to the Indiana High School Hall of Fame. After a storied career in Indiana he decided to move to North Carolina to play College Ball at Montreat Anderson College. There he set a school single game record of 22 assists at the Cavlier Classic. As part of the process to receive his scholarship, Fields had to take an Oral Pollio Vaccine, which reacted to his body poorly and attacked his immune system and also attacked all of the tissue in his joints. It got so bad that he was bed ridden for nine months. He weighed in at 187 pounds and at one point during the sickness weighed 119 pounds, ultimately ending his playing career at the age of 19. Fortunately, Fields still had a love and great knowledge of the game and he was allowed to be a full-time coach on staff while he finished his undergrad degree. Coaching for Fields is something that comes naturally to him and something that he’s wanted to be involved in since being in high school. His aspiration for wanting to coach started when he would be up into the late hours of the morning sitting at the table and explaining to his mom offensive sets and defensive sets with coasters. Fields said that he felt that if he could explain the game to his mom then he could explain it to just about anyone. He has been blessed to be able to be in the coaching business for the last 30 years. He has coached at all levels and brings a ton of experience to the table. He coached on the college level for thirteen years and coached on the FIBA level as a head coach for fifteen years where he won multiple championships. He has also spent six years in the NBA where he was a consultant for the Utah Jazz for two years, Golden State Warriors for three summers and the Sacramento Kings for a summer. With a highly recognizable resume and with all of his experience, one might ask how he got involved with the USU Eastern program and made his way down to Price, Utah. He said “Coach Vando [Becheli] and I started to develop a relationship when my son Brandon Sly started playing for him. Coach Vando and I would periodically talk about things that I was observing from the stands as I watched the Eagles play. 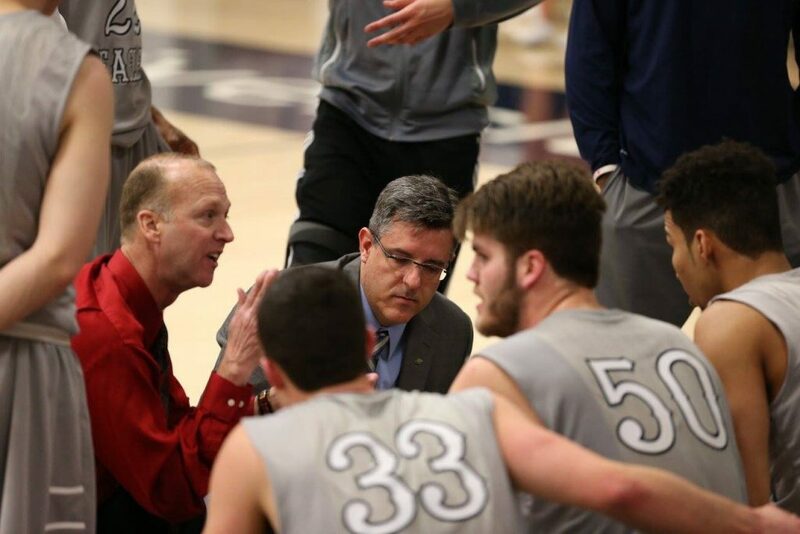 As many were able to observe, Coach Fields was able to help USU Eastern men’s basketball dramatically and turn things around in the season and helped the Eagles defeat the College of Southern Idaho, Snow College, Colorado Northwest Community College and lost in double overtime to National Champions Salt Lake Community College. With the new season approaching Coach Fields said, “Coach Vando and I worked diligently on bringing in the right character kids to change the culture and to ultimately change the program. We got a returning captin in Alex Morrell and Richard Worsham who bring a lot of experience and wisdom. I’m excited about our Dixie State Transfer, Cam Bailey, who brings a lot of experience as well. “We also have a great shooter in Koel Cutler who transferred from Norwest College in Wyoming. We also brought in Roman McKnight and Sunday Owda who came with JC experience and will have an impact immediately. Fields is eager to meet everyone, so if you see him on campus makes sure to stop in and introduce yourself.